John Williams always wanted to bring reconciliation to people of different cultures. As a lawyer, minister, college professor, and civil rights activist, God is using him to transform hearts. Life Pacific Professor John Williams is passionate about the ministry of reconciliation spoken of by the Apostle Paul in 2 Corinthians 5. Every day of his life, he lives out a call from God to reconcile cultures, races, and communities. Some days are harder than others, because the message of reconciliation is not easy and often requires more than some are willing to give. Two years ago, John closed his growing law practice in Pasadena, Calif. to devote time and energy to teaching at Life Pacific and to the ministry at Fellowship Monrovia, a local church in Southern California where he serves on staff. 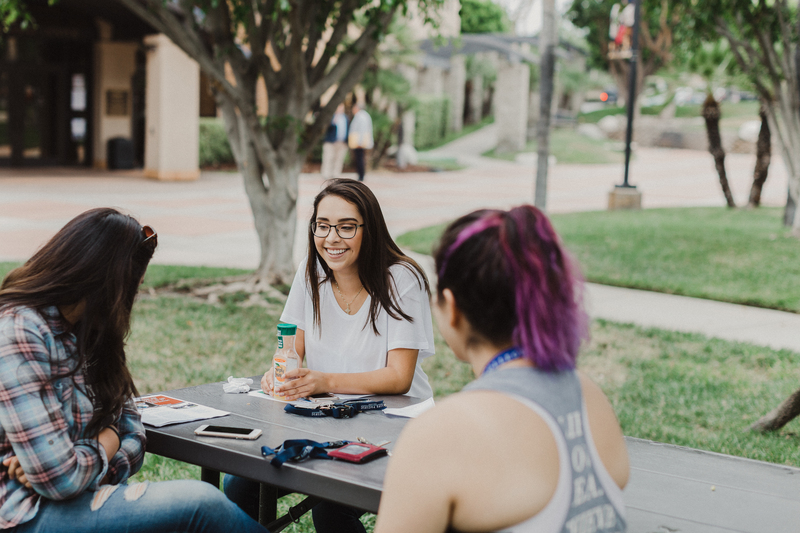 This fall, John and his team from Fellowship Monrovia led a racial reconciliation workshop for LP students, faculty, and staff bringing together every culture represented on our San Dimas campus – Black, White, Latin Americans, Mexicans, Asians, and more. His goal was to find common ground for each person and to encourage new conversations from a shared sense of responsibility and grace. “During the discussion, we lament the difficulty of reconciliation,” John says. From the days of the Old Testament God’s people often complained to Him about how hard life can be, how messy it can be to understand others, and the challenge of seeing things from different perspectives. Since 1986 as a young native of New Jersey with an eye on becoming a missionary to Africa, John asked God to prepare him to bring people together. “God has a way of using relationships in our lives to change the trajectory of our ministries,” he says. One such relationship brought John from the east coast to Pasadena and an internship with American minister, author, and civil rights activist Dr. John Perkins. But the field of law was not the complete answer and John soon realized there was more. Through his work with Dr. Perkins, John learned that the local church was supposed to be the agent of change to bring about racial and cultural reconciliation. “There are some wonderful businesses and non-profit organizations working toward reconciliation, but I firmly believe that substantive reconciliation must come out of the local church,” John says. This realization brought John and his wife to another life-changing decision when he closed his law practice and joined the staff of Fellowship Monrovia. “At first, my wife thought I was crazy, but God brought together all the right pieces and then it made sense,” he says. Now, John teaches a course at Life Pacific called “Foundations of Reconciliation and Social Justice” and another course called “Business Law and Ethics” in hopes of influencing a new generation of business leaders and ministers to be reconcilers. “I pray that they are able to take some of the things they learn and apply them when something difficult arises on campus, or in a conflict, or when they make decisions or establish policies in the future,” he says. 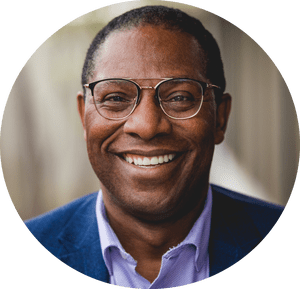 To this end, John leads the Center for Racial Reconciliation at Fellowship Monrovia and regularly invites community leaders to join the discussion. The Center in Monrovia hosted its first “Night of Lament” in 2016, the week following police shootings in Minnesota and Baton Rouge and the shooting of police officers in Dallas, Texas. Citizens, community leaders, and law enforcement personnel gathered in Monrovia to pray and lament. “A retired Black female police officer prayed for her fellow officers and for the safety of children like her own teenage boys in the community,” John says. Then, the police chief of Monrovia, a white man, prayed for victims of violence, both citizens and officers, and for believers everywhere to be examples of humility and grace. John says it was a moving moment that brought people together at a very disturbing time in our nation. Whether John is teaching Life Pacific students, leading a reconciliation workshop, or challenging a local church to embrace it’s cultural diversity, his underlying message takes us deep inside ourselves eliciting confession, repentance, and mercy. People of every race, culture, and community must willingly embrace this kind of transformation, according to John, if we hope to experience reconciliation of people to people, and ultimately of people to our God.